Reading inspires creativity! On Wednesday, January 16, the Pre-K through 3rd grade students at LCA enjoyed a visit from Kenneth and Sarah Jane Wright. They are a husband/wife team of an author (Kenneth) and illustrator (Sarah Jane) who read their latest release, Lola Dutch When I Grow Up, to the students. Kenneth and Sarah Jane shared with the students that the world is big—ENORMOUS actually—and that is why books are so incredible. They show us things in this world that we don’t know about. You can learn anything by simply putting things into your head through the avenue of reading. 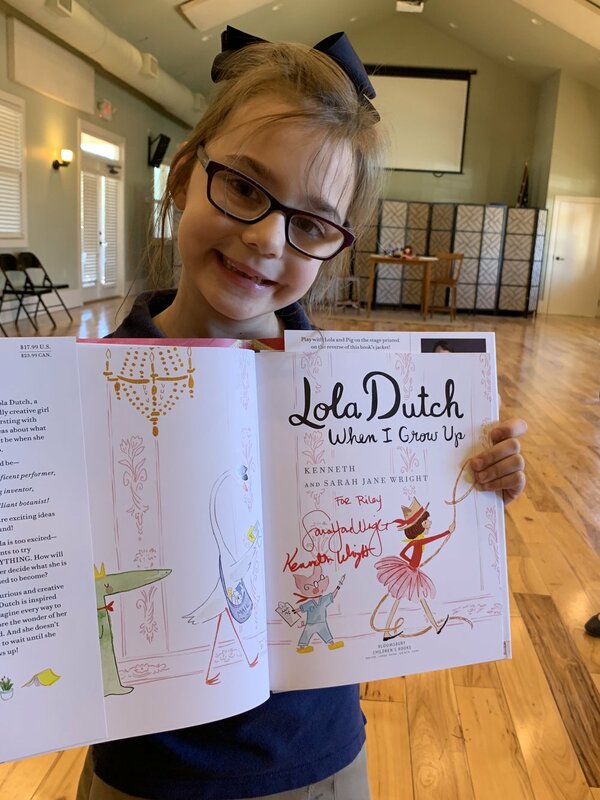 The Wrights explained to the Lower School students how Lola Dutch was created. First, she was illustrated by Sarah Jane, and then the story was written. Sarah Jane explained how one day the character of Lola Dutch just came out of her head along with all of her friends, Bear, Pig, Crane, and Gator. The book is about Lola, an inquisitive girl, who sees things she is curious about and then figures them out. She chooses not to think, I could never do that. For example, “Flying used to be crazy . 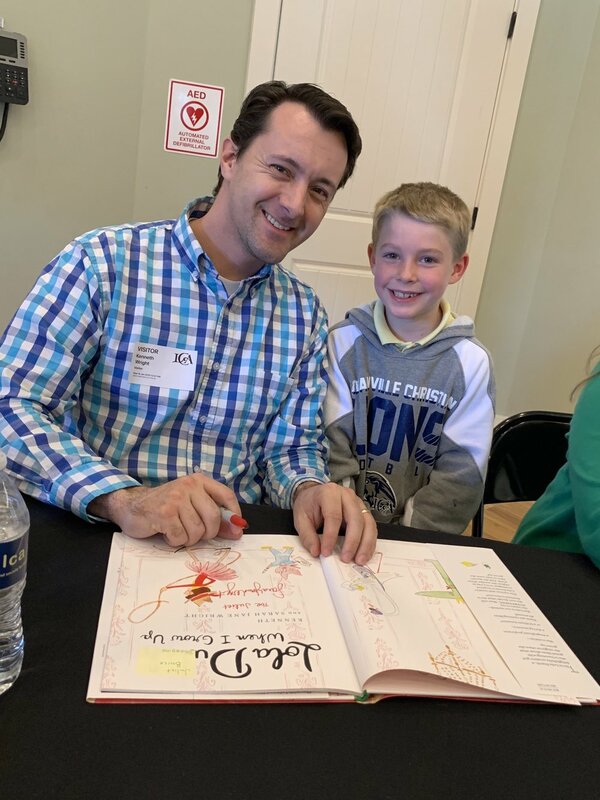 . . until it wasn’t.” The Wrights read their first release to the students and included snippets from their creative process. Then they read their second release, which hit the bookstores January 15. · How old is Lola? We haven’t decided on a specific age because we wanted you to have your own guess. · How did the pictures get on the inside of the book? Sarah Jane explained that she draws the pictures using pencils and paints, scans them into her computer, and then sends them to the publisher who has the pictures printed on the inside of the book. · When was she born? Conceptually, she was born about three years ago. The first book was published on January 15, 2018. · How did she get so curious? I don’t think people get curious; they have to stay curious. · Is Bear like a dad to Lola Dutch? We wanted him to look like any grown up that is special to a child.